1. Physical: People who say they are in love report getting “goosebumps,” “a palpating heart,” “sweaty palms,” “a tingling sensation all over my body.” People in love have a positive physical reaction when they think about or see the one they love. 2. Emotional: When they think about or see the person they love most lovers report “an uncontrollable smile comes over my face whenever I see her,” and “I miss him when he leaves the room.” People in love feel emotions for the person they love that they do not routinely feel for others. 3. Positive worry: Over the years, we continue to be amazed about the consistency with which people in love report to us that they “worry about their lover” when they are not around. Thoughts about what we have come to call “positive worry” about the one they love begin to creep into their mind. 4. I-cannot-imagine-life-without-him: This is the point in love when you begin to think about the future – your future with the one you love. When you cannot imagine your life without her, you are in love! 5. Oneness of your relationship: You begin to realize that you truly want this other person in your life. In our book, we refer to the notion of “turning two into one.” Everything changes from you and me, to WE! 6. Pre-occupied love: Simply stated, you think about the one you love most of the time. You can’t get them out of your mind. You are in love with them! 7. 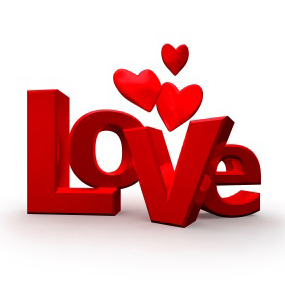 Love itself and your ability to express that love: You finally have the courage to tell them you love them! You suddenly and out of nowhere are inspired to say I LOVE YOU! I LOVE YOU! I LOVE YOU! You shout it to the stars. You are in love! To read the entire article How Will I Know I Am In Love? We just had to let our readers know about this amazing contest from Watermark Journey. 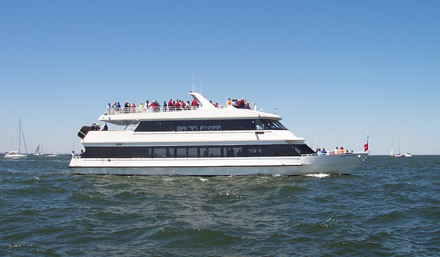 Win an Annapolis dream wedding on the most luxurious private yacht on the Chesapeake Bay! You only have until April 23rd to enter, so check out the contest rules right away. Good luck and we hope that one of our readers wins the contest. Please let us know!